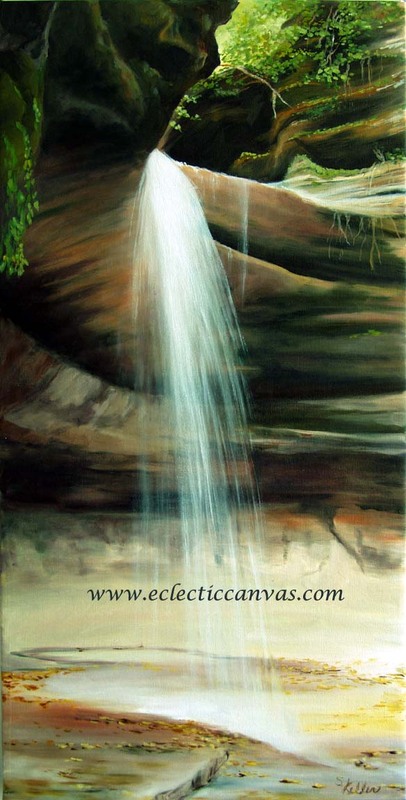 Original painting is 15 X 30, oil on gallery-wrap canvas. This is a close-up view of the water fall in "LaSalle Canyon" in Starved Rock State Park. Another close-up view is depicted in "LaSalle Falls".